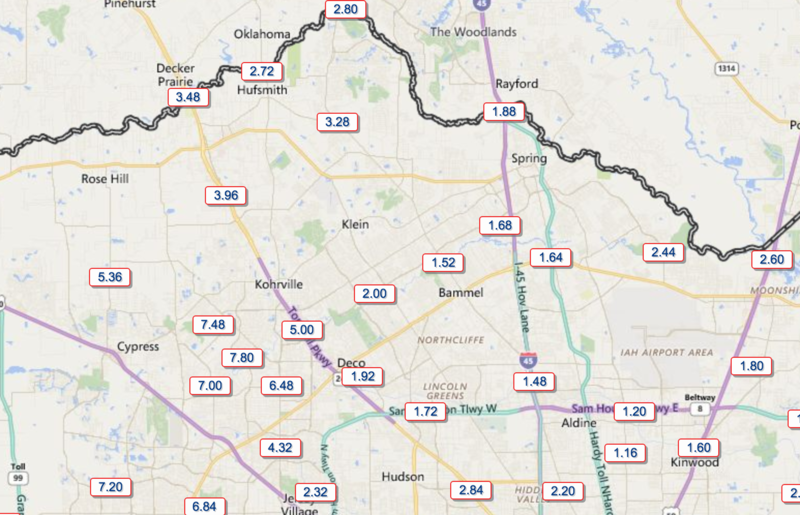 Harris County, Texas – August 14th, 2016: A significant amount of rain has fallen over Northwest Harris County in the last 24 hours, mostly in the western portions of Spring & Tomball. A flash flood warning remains in effect until 8:45am, whereas a flash flood watch is in effect for the remainder of the day, Sunday. Street flooding is likely ongoing and area watersheds are showing a rise and will be monitored.